It’s one of the greatest truths in the world. So why do we forget it so often? Why do we face so many days as if we’re on our own? 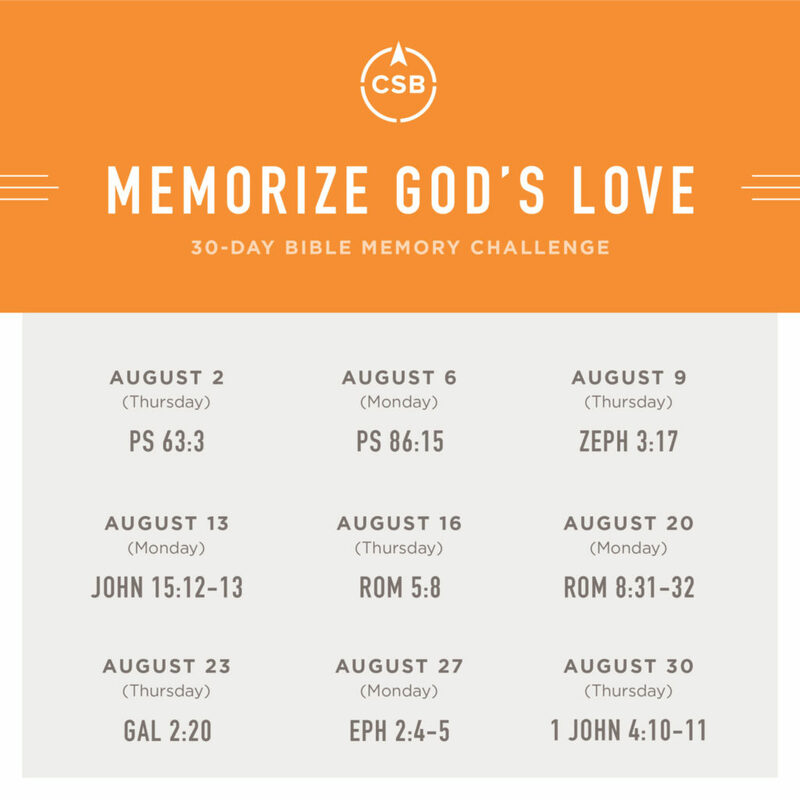 For the next 30 days, we will be memorizing 9 Bible passages that shine a spotlight on God’s love for us-filling our minds with truth before the busyness of the school year takes off. And we’d love to have you join us. Join the challenge on social media-we will be sharing beautifully designed images of the verses twice a week, plus starting conversations and sharing memorization tips and encouragement. Want a look ahead? Check out the full schedule below (or click here to download).